Older dogs or dogs suffering from arthritis and joint pain can have difficulty finding a comfortable place to sleep or lie down. The owner’s bed or other furniture is not always a desirable option, nor does it provide optimum support. In addition, cushioned furniture and traditional dog beds can trap the pet’s body heat, causing them to become overheated. We created the Chilly Mat for a client that wanted to help their pet by enabling them to stay comfortable and cool while reclining, indoors or out. 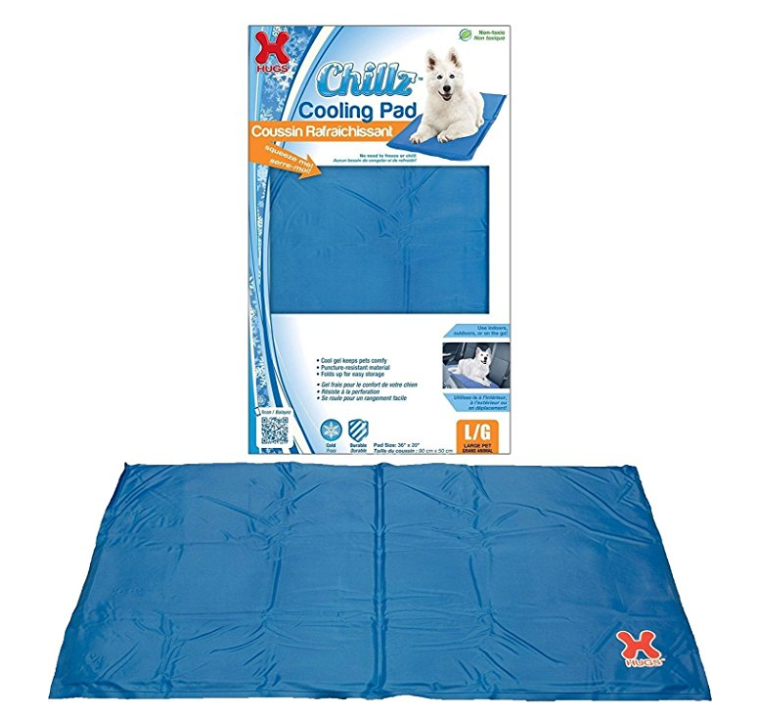 The lightweight and portable Chilly Mat provides four-legged friends with a soft, cool surface to lie on, by itself or placed in a pet bed. The gel supports a pet’s joints comfortably while not retaining body heat; and the puncture-resistant vinyl cover ensures durability.